J.K. 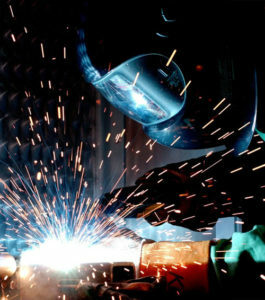 Pulley Company Inc. offers comprehensive welding services for the manufacture of a variety of parts. Our welding capabilities are an essential additional service that supports our various machining and turning capabilities. We utilize various advanced welding machinery and are equipped to perform Tungsten Inert Gas (TIG), Metal Inert Gas (MIG), and stick arc welding. By utilizing our advanced welding equipment, we are able to offer the best quality welded parts to clients. Since our in-house welding capabilities remove the need for a secondary supplier, we offer cost and time savings to our clients. We always ensure the supply of welded parts that conform to high quality standards.